There are a variety of banks and equity institutions that provide 0% business credit cards for a period of 6, 9, 12 and even 18 months. Fund&Grow utilizes these seductive 0% interest offers and gives you techniques to eliminate fees and leverage the best offers at the most competitive banks. This makes available low interest capital you can use as cash for small businesses, startups, real estate investors and more. Are you looking to fund and grow your business? Would it help to have large, unsecured, zero-interest credit lines? Would you like to learn how to get funding quickly and easily, without taking up any of your time and without proof of income? Fund&Grow™ can help you obtain zero-interest business credit lines that do not appear on your personal credit report. There are no restrictions; you can use the credit lines for any business or real estate investing need. We have helped businesses in all 50 states create 0% business credit financing. And we can help you. Call us now at 800-996-0270 Ext. 1 for a quick consultation to see how much credit you can receive. How Do We Get You 0% Interest? Ever since the bank bailouts, with lenders tightening their guidelines on even the best borrowers, a better way to get credit was needed. Born out of a successful mortgage company, Fund&Grow saw an opportunity to provide businesses with good credit the money they needed at reasonable terms. We turned our industry-insider knowledge into a resource that’s helped hundreds of real estate investors and small businesses get up to $250,000 of credit - and often much more! Fund&Grow's Flagship Programs have options for Real Estate Investors and Small Businesses with short and long term needs. Click here to learn about the Fund&Grow program. With over ten years of exponential growth and success, Fund&Grow continues to offer the best business credit loan packages available on the market, enabling thousands of businesses and individuals to achieve their financial dreams. If you’re self-employed, a small business owner/start-up, or a real estate investor, and you see the benefit of getting zero interest funding to grow your business, we can help. Get the money you need today without paying huge financing fees. Our business clients that have legitimate uses for business credit and other merchant services get access to high-end lending institutions. To better understand how we do this, click on: 0% Interest Credit - How it Works. There are many myths about credit, including that credit has to come at a price or with interest, or that you have to pay or that it will show up on your personal credit report. We disprove these myths every day! Whether it’s for your business or other Uses for Credit, Fund&Grow has a solution for you. 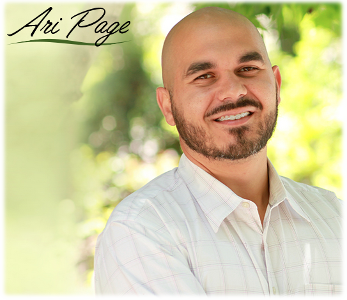 "Ari really goes the extra mile for his clients and I can’t recommend him highly enough. In fact, my business partner and I (who’s also a F&G client) have been sharing F&G with our Wealth Vault [...]"